Arrow’s Green Pest Control uses knowledge of insects, the best technology, organic pesticides, and exclusion techniques in order to get the maximum control of pests with the least environmental impact. Arrow’s Green Pest Control uses knowledge of insects, the best technology, organic pesticides, and exclusion techniques in order to get the maximum control of pests with the least environmental impact. These products have no harmful odors, and you never have to leave at the time of treatment. Arrow’s solutions and preventative measures are to fight against insects, termites, rodents, and wildlife! 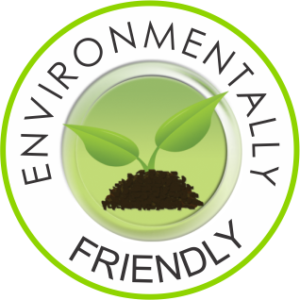 Organic Pesticides– Treated with Eco SMART’s Technology line of botanical insecticides, repellents, herbicides, and fungicides made with organic essential oils. Weep-Hole Covers– Custom installation with specially designed plastic covers to offer superior protection from unwanted pest that could enter or harborage in the weep holes of your home. Bed Bugs– Steam only treatment for bed bugs and there won’t be a need to throw away infested furniture or mattresses. PLUS we offer bed bug proof mattress encasements! Termite Monitoring System– A termite program that allows us to monitor termite activity around your home and treat the termites before they reach your home with bait that eliminate the colony and your exposure to liquid termiticides. Liquid Treatment– Dupont Altriset is the first and only liquid termiticide to be classified as reduced-risk under the U.S. EPA reduced-risk program. Termi-Mesh– A finely woven stainless steel mesh is secured around the plumbing penetrations and joints to prevent termites from entering in the homes natural susceptible areas. Borate– A wood treatment is rendered while the wooden studs of a home are at their maximum exposure during the construction phase. The borate is applied in a liquid form, but no chemicals come into contact with the soil so they can’t hurt the environment. Less chemical is used in this treatment in comparison to the standard home soil perimeter pre-treat. Pest Attic Insulation (TAP) – 3 step approach to solving some major energy and pest needs of your home. Learn More. Sentricon – A special cellulose matrix is inserted into strategically placed bait stations around your home. The termites eat and feed on the stations, share the food with their colony, and in the end, the colony dies. Learn More.